April Showers Bring May Flowers. That seems to be the perfect sentence for the energy surrounding April. Ups and Downs. Erratic. Cold one day, warm the next. The best thing to do with with erratic energy is to commit to slow and steady progress in our goals and be patient and understanding. April is also a time when we are being guided to speak our truth in relationship with others. "Others" could be spouse, friend, boss, sibling. If we do not, the Universe will continue to highlight where we have failed to stay out of negative thinking and behaviors. The full moon is April 10th. The new moon in April 26th. 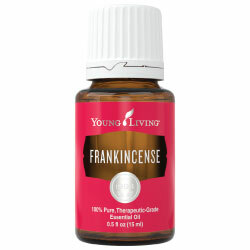 Frankincense is one of the oldest essential oils and is known as the “holy anointing oil”. In the Middle East, frankincense has been used in religious ceremonies for thousands of years. It was was one of the gifts given to Christ at his birth. Today, frankincense is still used worldwide for both its ceremonial and dietary uses. Frankincense can be used topically or diffused to enhance spirituality and meditation, or for uplifting attitude and mood-enhancement. As a supplement, Frankincense Vitality delivers support for overall wellness and normal cellular health, and has a complex, sweet flavor. · Promotes spiritual awareness and enhances meditation, tonic for the body and mind. Wishing you all a very Happy Spring, Happy Easter, Happy Passover. Thank you for allowing me to accompany you on this adventure called life.